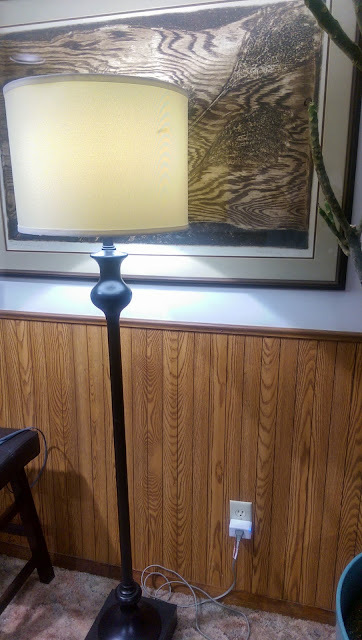 This is the floor lamp in our basement, which is now plugged into a TP-Link Smart Plug Mini and controlled by our Amazon Echo's. Why, you might ask? Better TV viewing, is my answer. I turn it on ("Alexa, turn the downstairs light on") before going downstairs, leaving the stairway light off, and proceed safely to my theater seat (the left one, which has the better angle for the cable box remote). When comfortably situated, I turn the lamp off ("Alexa, turn the downstairs light off") and enjoy my favorite shows in a properly darkened room.